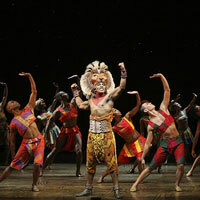 Here is a list of the Broadway shows in Miami as well as the Broadway shows coming soon! Experience the phenomenon as it once again leaps onto the Cadillac Palace Theatre stage. Marvel at the breathtaking spectacle of animals brought to life by award-winning director Julie Taymor, whose visual images for this show you'll remember forever. Thrill to the pulsating rhythms of the African Pridelands and an unforgettable score including Elton John and Tim Rice's Oscar-winning song "Can You Feel The Love Tonight" and "Circle of Life." Let your imagination run wild at the Tony Award-winning Broadway sensation Newsweek calls "a landmark event in entertainment." The true story of the small town that welcomed the world. 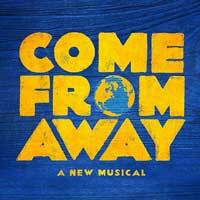 Broadway's COME FROM AWAY has won Best Musical all across North America! The New York Times Critics' Pick takes you into the heart of the remarkable true story of 7,000 stranded passengers and the small town in Newfoundland that welcomed them. Cultures clashed and nerves ran high, but uneasiness turned into trust, music soared into the night, and gratitude grew into enduring friendships. Don't miss this breathtaking new musical written by Tony nominees Irene Sankoff and David Hein, and helmed by this year's Tony-winning Best Director, Christopher Ashley. Newsweek cheers, "It takes you to a place you never want to leave!"